The Allied Pilots Association in Washington, D.C. The APA leadership understands that the direction of the airline pilot profession is determined in large measure by policymakers in Washington, D.C. The APA Government Affairs Committee is entrusted with serving as the voice of APA pilots in our nation's capital. APA’s positions on important aviation safety- and security-related issues are based on the pilot's perspective as a subject-matter expert. All APA Government Affairs Committee members are current line-flying pilots for American Airlines with thousands of hours of experience in large civilian transport and high-performance military aircraft. APA’s legislative success can be partially attributed to the strength of the union’s Political Action Committee (PAC) fund. The APA PAC is used solely for congressional campaigns and does not fund any other APA expenses or salaries. APA is also a member of the Washington, D.C.-based Coalition of Airline Pilots Associations, which includes approximately 28,000 professional pilots who work for a variety of passenger and cargo carriers. Strengthen the profession to attract and retain the most highly experienced pilots possible. Promote and support regulatory policies that enhance aviation safety and security. Enhance pilot qualifications and training. Minimize the impact of Chapter 11 reorganization on the career expectations of our pilots. Encourage technical corrections and program improvements to the Federal Flight Deck Officer (FFDO) Program. Promote reform of the federal aviation regulations on flight and duty time to reduce the risk of flight crew fatigue. Duty day, daily flight hours, ultra long-range flying and international reserve rest are all of concern. CA Lyons was one of APA’s founders. Captain Daniel F. Carey was hired by American Airlines in 1984. Based at New York's LaGuardia Airport, he pilots the Boeing 777 on international routes. He has also captained the McDonnell Douglas DC-10 and MD-80, the Airbus A300, and the Boeing 727. Captain Carey represented the LGA domicile on the Allied Pilots Association Board of Directors from 1993 to 1998. His APA service also includes time with the Negotiating Committee, the Legislative Affairs Committee, the Strike Preparedness Committee, the Benefits Review and Appeals Board, and the No B-Scale Committee. While on leave in 2012 and 2013, Captain Carey piloted the Boeing 777 of Equatorial Guinea's president, Teodoro Obiang Nguema Mbasogo. His flight experience also includes Civil Reserve Air Fleet missions for Operation Iraqi Freedom in 2003. Captain Carey is a graduate of Cochise College in Douglas, Ariz. He and his wife split their time between Rockville Centre, N.Y., and Ballyporeen, Ireland. They have three adult daughters. First Officer Timothy Hamel was hired by American Airlines in 1991. He is currently a Boeing 787 international pilot and previously flew the Boeing 777, 767, 757, and 727, as well as the McDonnell Douglas DC-10 and MD-80. First Officer Hamel's previous APA experience includes chairing the union's Scope Committee, which monitors compliance with Section 1 of the APA-American Airlines collective bargaining agreement defining the pilots' scope of work. In analyzing the developing pilot shortage, he has called into question the sustainability of the regional airline industry's business model, which is predicated on paying its pilots low wages. 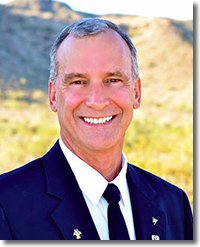 A resident of Phoenix, he served in the United States Air Force and holds a Bachelor of Science degree in economics from California State University-Chico. First Officer Hamel and his wife, Christine, have two adult children. 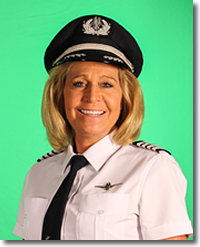 Captain Pam Torell was hired by American Airlines in 1998 after flying for American Eagle and Atlantic Coast Airlines. Captain Torell is based in Miami and flies the Boeing 737 internationally. She has also piloted the Boeing 777 and S80 for American Airlines. 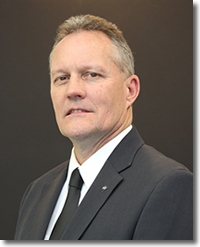 Captain Torell has served the Allied Pilots Association most recently on the national Training Committee, coordinating with the American Airlines Training Department to improve training for all fleets. Her union experience also includes chairing the national Family Awareness Committee, representing the union for layover hotels in the Caribbean as a member of the national Hotel Committee, and serving as Flight Assist deputy chair on the national Aeromedical Committee, when she trained, managed, and facilitated Critical Incident Stress Management debriefings through the entire AA flight schedule during 9/11. Captain Torell earned her Bachelor of Arts degree in psychology and sociology from Western Maryland College. She and her husband live in St. Lucie County, Florida.